Chaitanya Kanojia, Aereo’s chief executive, shows a tablet displaying his company’s technology, which delivers over-the-air TV channel signals to Web-linked devices. Aereo, the Internet video service that’s drawn the wrath of the nation’s broadcasters, is coming to Boston next month. The Aereo service, available now only in New York City, captures live TV programs broadcast over the airwaves and streams them over the Internet for subscribers to view on any Web-connected device — such as laptop or desktop computers, smartphones, and tablets. Currently there’s no way to watch network TV broadcasts live on the Internet, though shows are often available for later viewing. Aereo announced yesterday that Boston-area consumers who have preregistered for the service will be able to receive content beginning May 15. The service will be available to the general public starting May 30. Aereo chief executive Chaitanya Kanojia, a Northeastern University graduate and West Newton resident, said his service will provide most of the programming viewers currently watch. Most of the top-rated shows, he said, are already broadcast over regular television airwaves; meanwhile most cable subscribers end up watching only a few of the many channels available on their pay service. 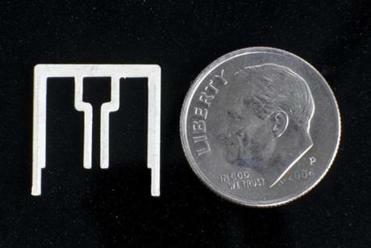 Aereo uses tiny antennas to capture broadcast signals over the airwaves and retransmit them to individual subscribers. In Boston, Aereo subscribers will get 28 channels, including ABC, NBC, CBS, PBS, Fox, and other local broadcasters. Subscriptions will cost $8 a month or $80 a year. Kanojia said Aereo subscribers can find favorites not available on his service by subscribing to other low-cost video programmers, such as Hulu or Netflix, which costs $9 a month. “For roughly $20 a month, I’ve solved a $100 problem,” Kanojia said. However, people who stop using cable, sometimes called “cord-cutters,” would lose access to popular shows like the HBO series “Game of Thrones” and ESPN. Cord-cutting could mean billions in lost revenues for over-the-air TV broadcasters. Cable companies pay networks for the right to retransmit their over-the-air broadcasts. These retransmission fees now make up a large share of total network revenues. If fewer people watch network programs on cable, those fees could decline sharply. So, broadcasters have sued Aereo in federal court in New York, alleging the company is engaged in copyright infringement by rebroadcasting their shows without permission. So far, the New York court has refused to issue an injunction to halt Aereo, but hasn’t ruled yet on the merits of the case. “We’re confident that Aereo will be found to be a copyright infringer as this case winds its way through the courts,” said Dennis Wharton, a spokesman for the National Association of Broadcasters. But if Aereo wins, the impact could transform the entire TV industry. Executives of two major broadcast networks, Fox and CBS, have said that they will stop over-the-air broadcasts of their programs if Aereo is allowed to keep distributing them. This would stop Aereo from offering the shows, but would also make them unavailable to millions of viewers who rely on over-the-air broadcasts. The broadcasters association estimates that in 2012, 54 million Americans watched TV exclusively over-the-air, a big increase from 46 million a year earlier. “If we can’t have our rights properly protected through legal and political avenues, we will pursue business solutions,” Chase Carey, chief operating officer of the Fox network’s parent company News Corp., told the broadcasters association at its recent convention in Las Vegas. Dan Rayburn, a media analyst at the research firm Frost & Sullivan, believes that even if Aereo wins in court, the company’s business model is destined to fail. “There’s not enough consumers who want a service like this,” said Rayburn. While cable TV subscriptions are forecast to decline from 103 million households today to 97 million by 2015, Rayburn said that won’t be enough cord-cutters to make Aereo a viable business. However, Rayburn believes that a bigger, richer company might make a go of the concept, if the courts rule that it is legal. He said that is the real reason the broadcasters will fight Aereo every step of the way.